Eyeota, the global leader in audience data, and Treasure Data, the leading customer data platform to make all data connected, current and easily accessible, have partnered to bring Eyeota’s extensive audience data segments to more clients around the globe. 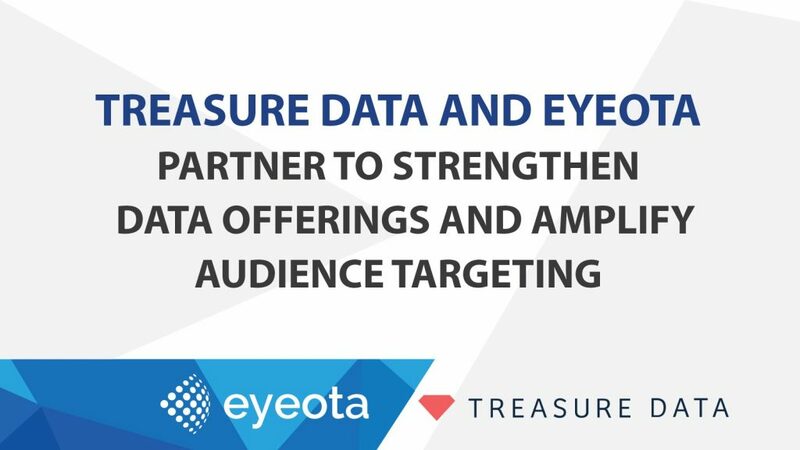 With the integration of Eyeota data into Treasure Data’s customer data platform, brands can leverage the combined power of first- and third-party data to amplify their campaigns. As marketers and advertisers look to differentiate themselves and deliver personalized ads and content, innovative programmatic solutions will play a major role in their success. With a proven partnership in Asia-Pacific, the relationship will continue to help global brands delight their customers at scale in North America and the rest of the world. With a 66% increase in use of audience data globally for digital ad campaigns in 2016, programmatic growth continues to accelerate worldwide and offer a range of opportunities for local, regional and global brands to attract and convert customers.